Here at Harmony Healing Center, we are firm believers in the mind, body and soul connection; but finding the right balance between these equally important puzzle pieces that make up our being is no easy task. Lucky for you, you don’t have to find that balance alone. Kristine Morton has been a certified Regression Therapist for over a decade and she is here to help. Whether you’re in need of past life healing, spiritual coaching, between lives soul regression therapy or all of the above, Kristine has you covered. The left brain—which in our left-brain-focused society is the dominant side for most individuals—is the logical, ego-driven side. Your left brain is calculating and empirical and it focuses on rational problem solving. This side of your brain offers a protective mechanism that helps you survive childhood and learn to maneuver in this reality. The left brain is not inherently bad, but when it takes over and starts running the show the effects on your spirit can be quite devastating. The right brain, on the other hand, thrives on intuition and creativity. This side of the brain is your compassionate power center and the doorway through which you can connect with greater consciousness. When you don’t nurture the right side of your brain you are essentially shutting down the heart-centered spirit guide within you. The ultimate goal for anyone should be to find a balanced and centered space where you are aware of and utilizing each side of the brain equally. A stable balance between the left and right brain will unlock within you a spiritual intelligence that will help you navigate life with ease. 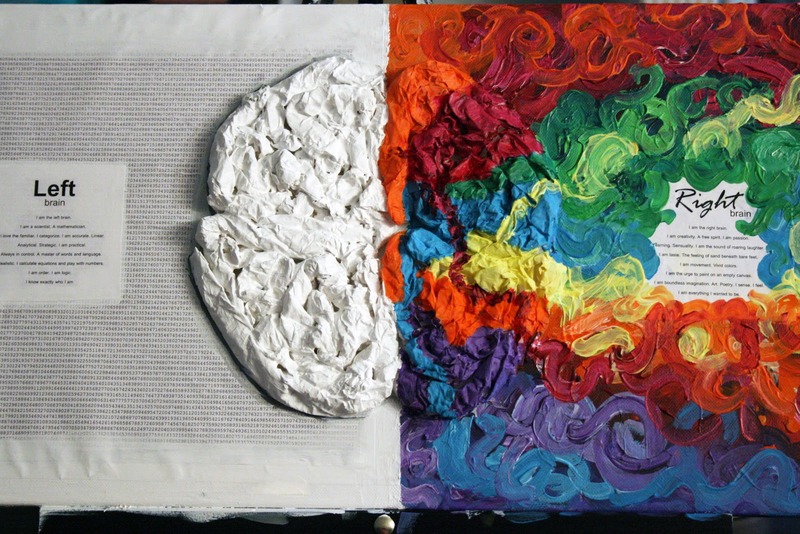 Here at Harmony Healing Center we offer Spiritual Coaching that will help you reach and maintain this coveted left brain/right brain harmony. Whether you’re getting ready for your Past Life Soul Regression journey or you’re in need of assistance with greater understanding and integration of the information you received in your Regression Therapy session, Spiritual Coaching can help you immensely. If you’re ready to start living a balanced, happy and healthy life, give Harmony Healing Center a call today. Schedule your free 30 minute consultation with Kristine and get ready to begin your journey down the path to well-being and peace of mind. This entry was posted on February 27, 2016 at 4:56 pm. You can follow any responses to this entry through the RSS 2.0 feed. Both comments and pings are currently closed.